There is strong racing at Doomben and Flemington this Saturday and we are looking forward to cheering on some nice horses to both meetings. A bit below his best in two Sydney runs, Marwood did however miss the start at his most recent outing at Rosehill and was far from disgraced running fifth. 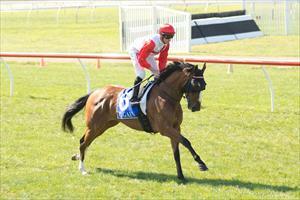 "He travelled back well and he may now be looking for the 1400m," Michael Moroney said. About Square is set to resume in one of the Flemington features, the Listed Straight Six and we are looking for a bold showing from the talented spring who boasts a good first up record. "He is well forward," Moroney reported, noting that the five-year-old has had three jump-outs in preparation. "He was a bit disappointing at his second one so we took him to Werribee with the blinkers on and he trialled really well." A race we'd really like to win is the Listed Andrew Ramsden Stakes which five-year-old Space takes his place. A tough on pace third over 2800m at Flemington last time out, the Dubai Destination gelding his having his first attempt at two miles and being out of a Zabeel mare he has the pedigree. "He has a horror draw and will need luck but he was very game last start and Glen Boss said he thought he would get the longer trip." We also have two runners at Doomben, the first of which is Surpass in the Gr.3 Lord Mayor's Cup over 1600m. Fresh and back in distance after a good New Zealand campaign that saw him win the Gr.3 Waikato Cup, the Brisbane Cup bound six-year-old is, says Moroney, "likely to find them just a bit too zippy over the 1600m." "His best chance is if there happens to be a lot of rain." Promising three-year-old Lord Disick (pictured) will line up in the Gr.3 Grand Prix Stakes and we are looking forward to seeing what he can do up in class and distance. Picking up good late ground at his most recent start over 1600m at Kembla Grange, the son of Pentire should relish Saturday's 2020m and he has drawn well for Tommy Berry. "He is a really nice horse," Moroney enthused. "He is up in class but we have always had a lot of time for him and the track will suit." "He has not had the ideal preparation with an elevated temperature after his last run but he is a promising horse who can run well."